It was here, at the 2009 The North Face Endurance Challenge 50 Mile Championships, that iRunFar’s live race coverage was born. Now, after eight years and nine-straight editions of this race, and we’re once again back at one of North America’s most competitive 50-mile races. This year, TNF 50 is getting a makeover in both its date and course. Taking place several weekends earlier, the new course starts in the town of Sausalito before heading over into the Marin Headlands and running many of the same trails as before. Toward the race’s end, it’ll beeline across the iconic Golden Gate Bridge to a new finish line at historic Crissy Field in San Francisco proper. The new course rings in at 50.7 miles in length and with 10,400 feet of climb. For perspective, the 2016 course was just over 49 miles long and with 9,300-ish feet of climb. What isn’t changing, however, is the prize purse, a payout of $15,000 for the top-three women and men each, with 10k of that going to each winner. The race takes place on Saturday, November 18 starting at 5:00 a.m. Pacific Time in the U.S. (That’s Saturday, November 18 at 2:00 p.m. CET in Europe.) Follow our live race coverage come race day. We are expecting additions and subtractions to the elite entrants list between now and race day, which could very well change the nature of the women’s race. We’ll update this preview if this happens, so check back. Be sure to read our in-depth men’s preview. Ruth Croft is out with an injury, and not racing. [Updated 11/13] New Zealand’s Ruth Croft can’t quit TNF 50. Ruth’s finished TNF 50 twice, taking fourth in 2015 and third last year. Both times she ran–and suffered–to strong finishes, but probably off her potential. Both times she threatened to not return, yet here she is. She’ll be a month off her win at Les Templiers in France, a somewhat comparable race statistically, in which she put away the rest of a wicked-fast female contingent. Ruth is on fire in her 2017 racing, which she says is a result of more focused and appropriate training blocks before races. Could this be Ruth’s year in the Marin Headlands? Ida Nilsson (pre-race interview), a Swede who lives in Norway, is the returning TNF 50 champion. Last year, after running in the vicinity of a number of women for much of the race, Ida closed hard and gapped the field by something like a minute per mile in the final six miles. And that was coming off a short return to training following a leg injury. Now, she’s had an extended running season which has included wins at Transvulcania and Ultravasan, and second at Les Templiers last month, among other races. Ida might have the most raw leg speed in the women’s field, her massive collegiate running career as evidence. The closing pavement miles over the Golden Gate Bridge to the finish should favor the fast pegs. With five TNF 50 finishes in six starts, Megan Kimmel (pre-race interview) is another runner who keeps returning for more. She’s been the 2015 champ, she was second in 2014, and she’s been 10th twice, last year and in 2012. In 2016, Megan led for a long time before succumbing to calf issues late and dropping back to 10th. A look at Megan’s 2017 season shows some up and downs. Heading in reverse order, in September, she was second to Emelie Forsberg at the Glen Coe Skyline. Before that, she dropped from the Tromsø Skyrace and had a off-par day at the Comapedrosa Skyrace. And before that, she won both High Trail Vanoise and the Mont Blanc Marathon, the latter of which with a nine-minute buffer on second place Ida Nilsson. I’m super curious where Megan’s at, mind and body, going into this one. Emelie Forsberg has decided to end her running season, and enjoy winter in her Norway home. [Updated 11/16] Emelie Forsberg, a Swede dwelling in Norway, is another of the top-four women at Les Templiers last month who are meeting again at TNF 50. At Les Templiers, she was third, and that followed a dominant course record at the Glen Coe Skyline in September. 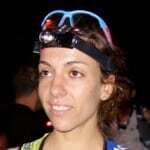 She was also second at the OCC in late August and eighth at the Zegama Marathon back in May. 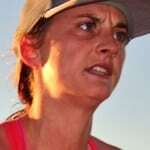 Emelie has two TNF 50 top finishes to her name, a win in 2012 and a third place in 2013. As training is tricky around her Norwegian home at the moment (read as, winter comes early! ), we’re not sure we’ll see Emelie in San Francisco, though her name remains on the entrants list. If she’s there, consider her a surprise that greatly enhances the front of the women’s field. [Added 11/6] Shut the front door, Stephanie Howe Violett (pre-race interview) just added her name to the roster! Stephanie knows TNF 50 well, having finished second in 2012, third in 2014, and ninth last year, the last of those as part of her fitness comeback following major Achilles injury, surgery, and rehabilitation. In 2017, she won the Bandera 100k, but then had off-par finishes at Western States and UTMB. She spent something like a month in Nepal trekking and running this fall, so she must be riding a good fitness high (and lots of extra red blood cells courtesy of extended exposure to altitude). France’s Anne-Lise Rousset has seen plenty of success over the years racing on the other side of the Atlantic, with some of her top finishes including a win of the 2014 CCC, fourth place at the 2015 IAU Trail World Championships, and a pair of second places at Transvulcania in 2016 and 2017, both of which were behind two-time winner Ida Nilsson. She has raced in the U.S. before, taking second last year–to Ida Nilsson again, yep, there’s a pattern–at The Rut 50k. Canada’s Annie Jean is just plain fast. She came onto my radar in taking fourth at TNF 50 last year, just a couple minutes shy of a podium placing in a super-competitive women’s race. Since then, among her other racing, she had an off-par day at the IAU Trail World Championships and took a strong third at the Mont Blanc Marathon, just two minutes shy of second-place Ida Nilsson. Clare Gallagher finished fifth here last year, a minute back of Annie Jean. In the year since, she took second at the Black Canyon 100k, took a distant fourth at the Quad Rock 50 Mile, dropped with injury late in the Western States 100, and came back to dominate and win the CCC. Phew! I see no reason that Clare won’t go top five again. Look out middle-distance ultrarunning, Canada’s Anne-Marie Madden (pre-race interview) can race it well! She showed her potential at the 47-mile Les Templiers last month in taking fourth. Well, she actually has had plenty of success at this distance as she’s taken fourth and sixth at TNF 50 back in 2014 and 2015, too. Anne-Marie has a ton of leg speed, so I expect the Golden Gate Bridge finish will favor her if she’s in the hunt late. Marianne Hogan is out with an injury. [Updated 11/16] Marianne Hogan, from Canada but living in the U.S., is racing TNF 50! This is going to be good. She’s been on fire in 2017, with a win at the Moab Red Hot 55k, a win at the Quad Rock 50 Mile, fifth at the Mont Blanc 80k, and sixth at the Speedgoat 50k. Of relevant note is that Marianne also won the 2017 Behind the Rocks 50 Mile, finishing more than 15 minutes ahead of Annie Jean. Anna Mae Flynn is probably better known for her shorter-distance mountain running, and she’s had great success in doing so in 2017. She was second at the GoPro Mountain Games Spring Runoff 10k, third at the Broken Arrow Skyrace 52k, winner of the Speedgoat 50k, and second at the Pikes Peak Ascent. She’s had some ups and downs in her attempts at running 50 miles and similarly distanced races, but her notable ups have been third at the 2016 Lake Sonoma 50 Mile and another third at the 2017 Quad Rock 50 Mile, only 10 minutes back of winner Marianne Hogan. Camelia Mayfield is a former DI track-and-field runner for Portland State University who has since turned her sights to trail running. Among her top finishes in trail running over the last few years are wins of the 2016 Flagline 50k and 2017 Waldo 100k, the latter of which showing her potential in a longer ultra. Camelia has leg speed so watch out for her on the Golden Gate Bridge. Half the race distance and I’d put Megan Roche way up on this list. She’s literally the reigning queen of 50k and shorter San Francisco Bay Area trail running. Though she’ll be debuting at the 50-mile distance, I think her absolute potential is way higher than where she’s listed in this preview. Among her best runs in recent years have been a trio of wins at the Way Too Cool 50k the last three years and a win of the 2016 Tamalpa Headlands 50k. Kelly Wolf is yet another fascinating female TNF 50 entrant. She went big with her first long ultra in late August at the CCC where she ran strong in the first half and slowed in the second to finish fifth. With plenty of leg speed at shorter-distance trail running, and now her CCC experience, she could very well have figured out how to moderate herself into the right effort for middle-distance ultras. Her best performances of late have been a win at the 2017 Broken Arrow Skyrace 52k ahead of third-place Anna Mae Flynn and a second at the 2017 Speedgoat 50k behind, you guessed it, Anna Mae Flynn. Laura Kline reports that she won’t be racing the TNF 50 this year. 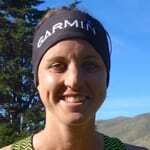 [Updated 11/7] Laura Kline finished 11th at last year’s TNF 50. If I recall correctly, she ran a bit further up in the field before slipping back later. Since then, probably her top performance has been second at the 2017 UROC 100k. I believe she finished this year’s CCC, but it was a sub-par run. [Added 11/13] Former collegiate track-and-field and pro road-running star Renee Metivier (pre-race interview) is a late entrant into the TNF 50. Just a couple weekends ago, she won the Moab Trail Marathon, which was the USATF Trail Marathon National Championships. Last year, she also won the USATF Trail Half Marathon National Championships at the Lake Padden Half Marathon. The woman’s got leg speed, with a 2:27 marathon PR, I believe. I also think this will be her first 50-mile race and possibly her first ultra? Steadily on the rise from regional- to national-level performances this year is Brittany Peterson. 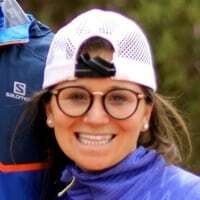 Her top 2017 performances have been a third at the 2017 Speedgoat 50k behind first- and second-place Anna Mae Flynn and Kelly Wolf, as well as a second at the 2017 The Rut 50k. Who will win the women’s race? And how do you see the race for the win playing out? Who will round out the women’s podium? Who will be the surprise breakout performer? Is there anyone who is particularly primed for a top performance? Or someone you know not racing? Leave a comment and let us know! I would suggest that Brittany Peterson may turn a few heads at this race too! She’s a past champ at Moab Red Hot 55K, and most recently crushed ‘The Rut’ 50K with a strong 2nd place! Oops, didn’t read to the very bottom of the page – oh well, she deserved mentioning again! Is the Way To Cook 50k the race where contestants have to cook and eat 50,000 eggs the fastest? Looks like a stellar list, but let’s hope the winner doesn’t get decided by who better navigates the crowd or has better luck crossing over Golden Gate bridge. I was hoping they would get access to the bike side, but nope. NOTE: No marks will be on the bridge until you exit. Stay to your right while crossing the bridge. Pedestrian bridge is OPEN, and you will be sharing this experience with other people. Please be courteous! I’m surprised this isn’t getting more discussion on how awful it could be! Seriously, that side of the bridge at that time of day has the potential to be just as crowded as Fisherman’s Wharf. Totally agree. It’s going to be a major mess unless it’s heavily raining. The women’s race is stacked! What an impressive field. In my opinion this is the better race at TNF 50. Stoked to see how it pans out! Not appearing on this list, but up and coming very fast, is Katie Mills from North Vancouver. She won the Knee Knacker 2017 and clocked in some impressive performances at Orcas Island 100 miles, Buckin Hell and other BC races. Go Katie! 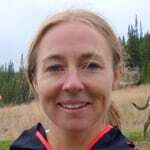 Sandi Nypaver is running and finished 7th at TNF50 last year. Also took 2nd to Renee at Moab a few weeks ago. Her name’s not yet on the entrants list to which we have access… has she posted about it publicly? Ah ok. Yessir, I saw a YouTube video and her and Sage’s saying that she will be there. Thanks again to you guys for the preview! Should be a fascinating race! This women’s field is stacked! Emilie just posted on Instagram that she will not be running. Bummer. 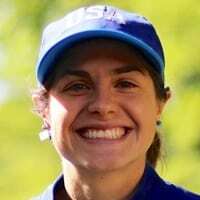 From following Megan Roche on Strava, she seems to be primed and ready and I think she’ll do very well, even with it being her first 50 miler. I think Clare and Stephanie will work together and I’m excited to see that. We’ll see what Clare has in her this year. I’m always rooting for her! I put Anna Mae in the top 5. Colorado girls have some legs!